Betway has arrived in South Africa for all the online soccer betting you could wish for, Soccer - or football - is the most popular and prevalent sport in the world. Originating in Britain in the second half of the 19th century and spreading to continental Europe thereafter, football it is now played in all parts of world. The beautiful game has captivated the hearts and minds of South Africans, evidenced by the fanatical support enjoyed by top clubs like the Buccaneers with their skull and cross bones - Orlando Pirates, the boys of peace and love from Naturena - Kaizer Chiefs and Sundowns in their bright yellow kit representing Pretoria. In their makarapa’s with their vuvuzela’s and dazzling outfits, the fans passionately support their team of choice, defending them in fiery conversations that could go on for hours. With that in mind, Betway has arrived in South Africa to give those passionate fans a chance to put their money where their mouths are by backing their favourite team with a bet. Place your soccer bets now! Back in 2006, a group of sports fanatics got together and created something amazing: a new way for you to place sports bets how you like, when you want and wherever you are. Betway’s founders made it their mission to provide you with the most exciting and best possible, sports betting site. They presented the opportunity for you to bet your way, whether that’s pre-game or in-play, on any of the world’s top sporting action. Betway is now an international gambling company that operates across regulated online marketplaces and holds licences in the UK, Malta, Italy, Denmark, Spain, Belgium, Germany, Ireland Kenya, Uganda, Ghana and South Africa. They now also sponsor Premier League giants West Ham United along with being the official betting partner of German Bundesliga sides FC St. Pauli, Union Berlin, Eintracht Braunschweig, Karlsruher SC, and Dynamo Dresden - that sees the company become the clubs' official online soccer betting partner until the end of the 2018/19 German football season. Whether you’d rather be betting on the spicy sporting flair of the Spanish La Liga, the structured strategy of the English Premier League or even unknown teams in minor leagues across the world, Betway South Africa is driven to provide sports fans with an easy way to bet on absolutely all the soccer betting action they could ever dream of. We invite you to join us and continue the adventure that the Betway founders started over a decade ago. Jump in and share the thrill of betting with us today! Click here to place your soccer bets. With competitive odds on offer for every soccer match conceivable and a comprehensive range of betting markets to choose from, Betway South Africa has made online sports betting simple and more exciting than ever. Whether you prefer to play it safe with a Double Chance bet or even a simple match result, we have something for you. If you know your stuff and think you can predict the outcome of a game to the minute, you can bet on the correct score, who will score first and even when the goals will go in! There are overs and unders, handicaps, odds or evens and everything in-between to make sure you never run out of anything to chat to your mates about. For an even more thrilling experience, you can keep up to the pace with Live In-Play Betting with Betway. Live In-Play Betting lets you follow every kick of the ball and every goal – allowing you to bet on a range of markets and games with odds that constantly change as the game goes on. You’ll be able to make your predictions based on a team’s possession, how many cards they’ve received, how each team is doing in defense and how many goals have been scored. Betway South Africa mobile app is easy to use and hassle-free. Punters simply need to set up their personal account and start sports betting in a flash. In a few easy steps you can select your favourite sporting event, make a fast, safe deposit and keep track of your open betting slip all on your mobile device. Betway offers most popular banking methods like debit/credit card facilities and easy money pocket options like iPay: an instant money transfer facility linked to six major South African banks. 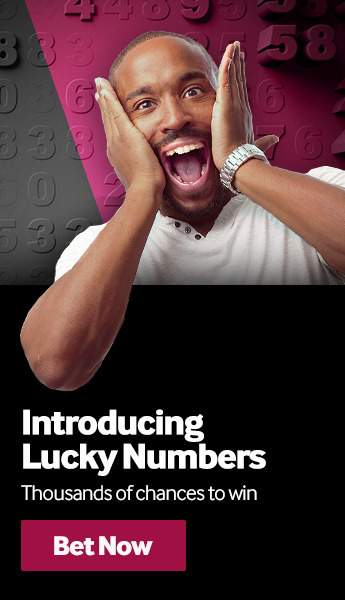 Once you place a sports bet, a verification SMS is sent directly to your cellphone for verification. Personal information and all online transactions are secured with the latest encryption software so you have all the guarantee of a safe and worry-free betting game. With this range of banking deposit options, it’s easier than ever for customers to deposit funds and make their online sports bets. 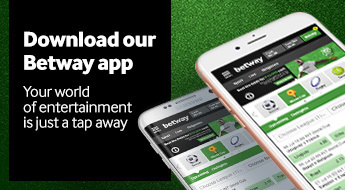 Betway South Africa often runs fantastic weekly or monthly promotions that offering customer rewards that can range from Extra Bets, televisions and smartphones to massive prizes like trips to the United Kingdom to watch Premier League football. Ultimately, if you’re a die-hard Diski fan or looking to experience the thrill of soccer betting for the very first time, you can’t go wrong with a bet on the Betway desktop and mobile sports betting platforms. It’s sure to add a bit of drama and excitement to your experience of the beautiful game.